Our extensive line of meters which includes light meters, pH meters, conductivity meters, and combination meters, helps take the guesswork out of your indoor gardening. 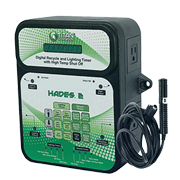 If you are ready to take your indoor gardening supplies to a whole new level, environmental controls are the way to go. The controls we offer provide features like CO2 enrichment and monitoring, cooling thermostats, cycle light timers and fan speed control. We also have environmental controllers that do it all. If you have any questions feel free to give us a call at 855-289-1441. Meters and environmental controls may be the most important indoor gardening supplies you ever buy. This is because they allow you to automate and optimize your hydroponics garden to the best conditions possible. Controlling your enclosed grow room's environment is critical to your plant's success. High heat and humidity in hydroponic gardens can spell trouble for your plants. Maintaining the right temperature, pH level and nutrients level of your plants can be a difficult task unless you have the right meters among your indoor gardening supplies. 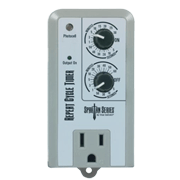 Grow room controllers come in various configurations, from simple fan and light controllers to monitoring humidity, temperature, and even CO2 levels, able to react to changing conditions even when you aren't around. Full environmental controllers have the added benefit of allowing for automation, which means less work for you! So if you're looking for a complete control system or just something to help out in specific areas, GrowersHouse carries the complete lineup of several popular controller brands. 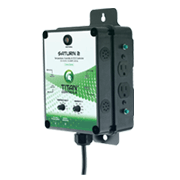 We also carry multi-function controllers that do it all-in-one complete environmental controller able to control lighting, fans, humidity, temperature, and even CO2 levels. Various meters are available to monitor every aspect of your grow room from temperature and humidity to the total dissolved solids in your nutrient solution. You can monitor your power usage with voltage and power meters or even light meters to measure your light's efficiency so you know when it's time to replace those bulbs. 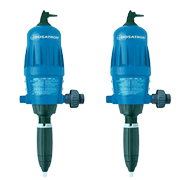 Moisture meters are great for soil growers wanting to take the guesswork out of knowing when to water or not. Since meters need occasional calibration and cleaning to make sure the readings are accurate, we carry 'solutions' for making your pH and TDS/PPM/EC meters continue to work at their best.